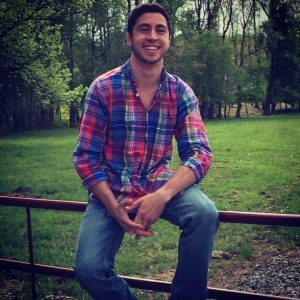 Meet Gabe Hill – 19 Year Old Candidate for GOP National Delegate From Henrico County (VA-7) | Virginia Right! Gabe Hill is only 19 years old but is a veteran of at least 3 political campaigns and is currently running to be a delegate to the Republican National Convention in Cleveland this summer to pick the nominee that will run for President of the United States. And this would not be his first Convention, he also attended the State convention a couple of weeks ago. It always gives me hope when I meet someone so young that is already working to shape the world he will spend his life living in. While most of his peers are attending Bernie Sander’s rallies demanding more free stuff, Hill has been demonstrating a work ethic that shows he understands the principles that this nation was founded upon. When he was 17, Gabe volunteered for the Dave Brat campaign for a Government class project (which is where I first met this young Republican) and he quickly moved from working the phone banks to reaching out to other young people to bring them in to the campaign. After the Brat campaign, Gabe moved on to help Vince Haley in his bid for the State Senate. I asked Hill what his plans were as far as a career and he said he plans to major in business entrepreneurship and try to do his part to create jobs and, of course, make a living. Not surprisingly, he also sees a future in politics. He would like to start at the state level and see where it will take him. Gabe Hill is a bright and energetic young man with a passion for all things politics. He is mature beyond his years and has a tremendous future ahead of him. He is a perfect candidate to send to Cleveland and I would hope the Delegates to the 7th District Convention will elect Hill to represent the District in Cleveland. The GOP needs as many enthusiastic young men and women as they can get to preserve the future of the Party. And this is an opportunity to show the “Grand Old Party” is also the “Grand Young Party” by sending Gabe to Cleveland. Folks, Gabe Hill is the real deal. My name is Gabe Hill and I am running for Delegate to the Republican National Convention representing the 7th Congressional District. I began working in grassroots politics in September of 2014 while working as an intern on Dave Brat’s U.S. Congressional campaign. I had the privilege of working my way up from phone calling to being in charge of bringing in young students to phone bank and canvass. I then had the opportunity to work on Vince Haley’s Virginia State Senate primary campaign in March of 2015. As an intern my responsibilities ranged from raising funds to helping staff events, phone banking, and canvassing. In August of 2015, I started working as an intern on Siobhan Dunnavant’s general election campaign. We were able to pull off a huge win for Siobhan! Currently, I work for a political organization called Turning Point USA as the Richmond Field Director. The organization’s mission is to identify, educate, train, and organize students to promote the principles of fiscal responsibility, free markets, and limited government.